There are few surprises in soccer when it gets to the business end of the season. Soccer tends to get even more predictable when it comes to the English Premier League, and only the teams with the most money fight for success. 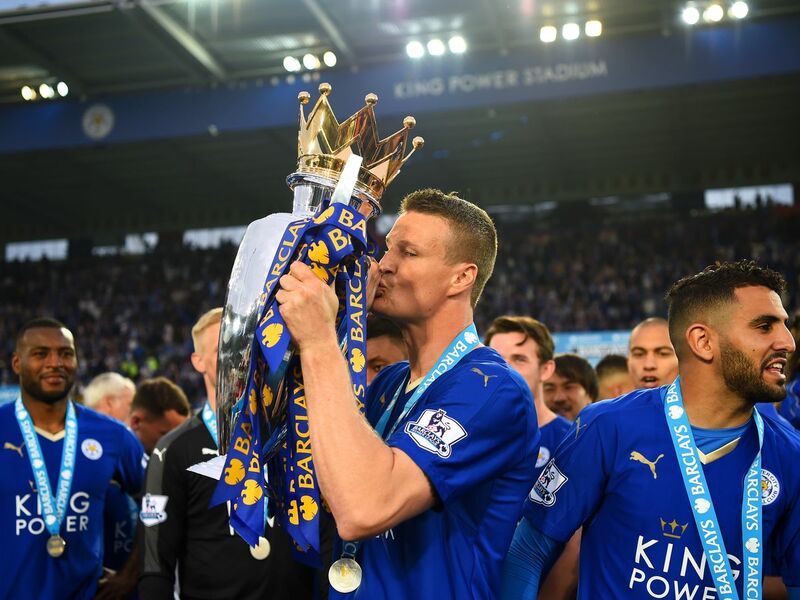 At the beginning of the 2015-16 Premier League season, Leicester City were expected to tank and had odds of +500000 to be crowned champions. They would amaze the entire soccer world when somehow they were crowned champions, and this is their story. Before we get to the 2015-16 season, we have to look at the season before. Leicester City had only just been promoted to the Premier League in 2014-15 and had survived relegation by pulling off an unlikely escape. Because they were so close to being sent down to the league below, bookmakers expected Leicester to struggle once again in 2015-16. Leicester City, often known as The Foxes, brought in an experienced manager in Italian Claudio Ranieri. The loveable and charismatic manager was returning to England after making his name in the country with Chelsea. 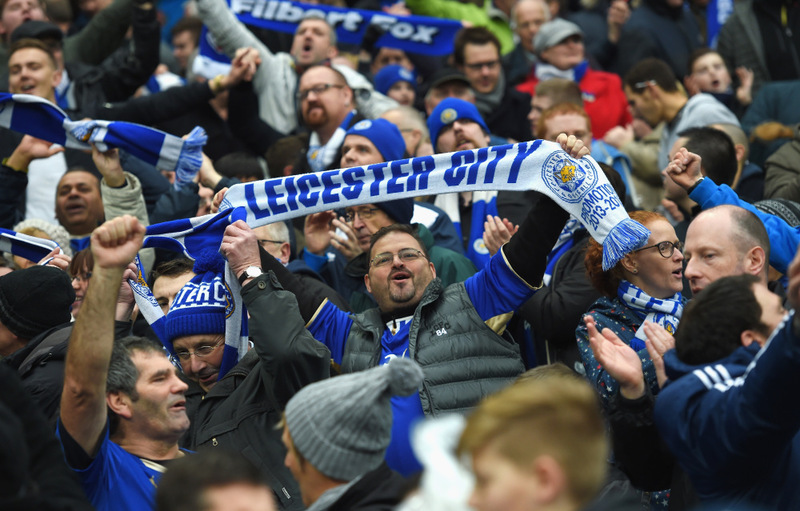 With an experienced head in charge, the Leicester City fans were hoping that they would survive another season in the league, what they got will stay with them forever. If Leicester were going to survive another year in the Premier League, they needed a fast start. The more points they had on the board, the more likely it would be that they survived. At the beginning of the season their +500000 odds of winning the Premier League suggested they were probably going down. Instead, the Leicester City players performed with something to prove. English striker Jamie Vardy had played at the lowest level of professional soccer in England and worked his way up to the big time, now was his time to shine. Vardy scored in their first game of the season along with Algerian winger Riyad Mahrez, who scored two. These two players were going to be important to The Foxes’ success this season as they won their first game 4-2. Leicester went unbeaten in their first six games and were sitting in third place in the standings. Leicester were riding high, but they came crashing back to Earth after losing 5-2 to Arsenal in game number seven. It was a bad defeat and what made it worse was that they lost at their home stadium. After a fast start, it looked as though Leicester were going to start dropping down the table, back to where everyone thought they should be. A bond was growing within the Leicester team, and the players were fighting for each other every time they stepped onto the field. Could these unlikely heroes get back to winning ways after the humiliating defeat by Arsenal? If the loss to Arsenal was supposed to be a reminder to Leicester City to get back to the bottom of the table, where they belonged, the players didn’t understand. Instead, they went on a ten-game unbeaten run, which placed them at the top of the table. It was around the halfway point in the season and relegation was no longer a worry, instead, it looked like a safe top half finish was likely. Experts believed Leicester would eventually fall to their rightful place and a defeat at Liverpool was expected to be the beginning of the end of this fairy tale. Once again the togetherness in the team made Leicester City fight back after losing to Liverpool. They would only lose one more game in the entire season, comfortably winning the Premier League by ten points. All the way through the season experts and analysts were predicting The Foxes to start losing, but they refused to give in. Impressive wins against Manchester City, Liverpool, and Chelsea helped to keep the momentum going and turn the doubters to believers. Vardy had scored the goals while Mahrez was the player who unlocked the English striker’s potential. Leicester dominated at the end of season awards. Vardy and Mahrez were named Player’s Player and PFA Player of the Year and Ranieri was the Premier League Coach of the Season. Although it was the collective team effort that won Leicester the big prize, another player also stood out from the rest. N’golo Kante, an unknown French player signed by Leicester in the offseason tackled everything that moved and set up a lot of their counter-attacking plays. He would go on to win the Premier League again when he was bought by Chelsea, and in 2018 he won the World Cup with France. Kante’s rise was as meteoric as Leicester City’s. Leicester City winning the Premier League in soccer is the equivalent to the Cleveland Browns picking up the Super Bowl. Because there is relegation and promotion in the Premier League, it is much harder for teams to upset the balance. In American football, the salary cap and draft rules make for a more level playing field. Since the Premier League was created in 1992, only five different teams have won it, while in that timeframe 14 different teams have won the Super Bowl. Perhaps it’s the equivalent of The Miracle on Ice, except that Leicester had to perform that miracle every time they played. Everyone loves an underdog story, but sadly the little guy tends to get beaten most of the time. 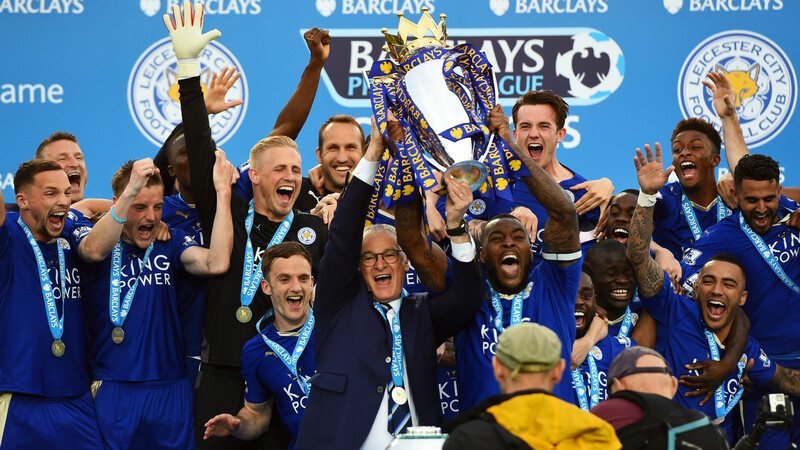 Leicester City’s manager, Claudio Ranieri, explained his teams triumph better than we can. The Italian said the achievement showed what can happen when teams stick together. “Twenty-six players. Twenty-six different brains. But one heart,” said the Premier League-winning manager.